At the end of the development phase conducted with LVMH Research, and once the formula has been approved, industrial production can begin. At the Parfums Christian Dior site in Saint Jean-de-Braye, which brings together, among other facilities, three separate production units (for fragrance, makeup and skincare), there is the manufacturing, material and human infrastructure necessary to prepare 200 million units a year for market. 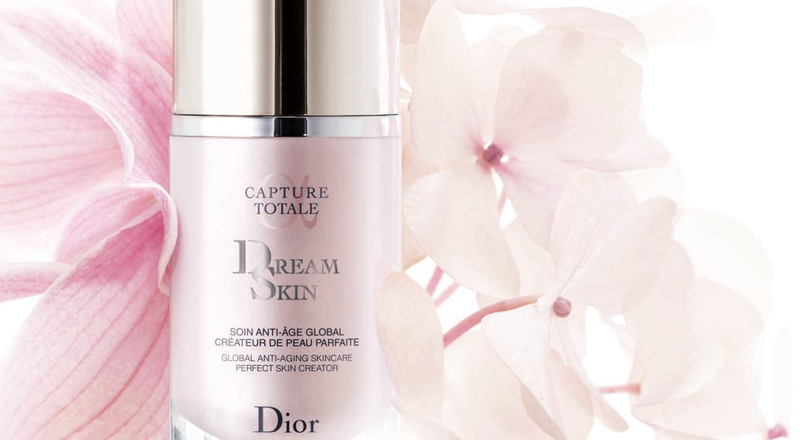 Here, we focus on the operations division, which was responsible for the production of Dreamskin, Dior’s new anti-aging treatment, launched in January. The skincare production unit, one of the operations departments, comprises several services: planning, packaging and manufacturing, which together produce the Dreamskin formula on an industrial scale. The process begins with industrial transposition which, conducted in partnership with the R&D division, culminates in the validation of the formula. The cosmetic evaluation center and the marketing department verify the exact resemblance (sensoriality, texture, appearance, color etc.) between this first industrially produced batch and the formula resulting from the development phase. Once this first hurdle is negotiated, the scale of production is gradually stepped up – first to 300 kg, then 500 kg, 1 ton and sometimes to as much as 3 tons, as in the case of Dreamskin. Each time, the quality control teams give their approval after minute analysis of a range of cosmetic criteria. Once the formula has been produced on an industrial scale, and before it is delivered to the distribution center, which will ship it worldwide, it must be packaged. On-going verification and validation procedures are implemented as the new packaging is adapted along the production line. This is a very important stage, which involves a number of different specialties within Parfums Christian Dior. The design, quality control, engineering and packaging teams work together to ensure that the production equipment adapts as well as possible to the requirements of the new product. As at the manufacturing stage, the packaging process is stepped up gradually and under strict supervision. Upstream, several pilot lots are produced in order to validate a whole range of technical parameters, the objective being to have total command of the packaging process in time for full-scale production. Operations personnel, who are the custodians of the smooth running of the entire process, and who are proud of the products entrusted to them, need to combine excellence and attention to detail with flexibility. It is to their credit that the skincare production unit can successfully adapt to the demands of a major launch. In the case of Dreamskin, 30 tons of formula were manufactured between September and December 2013 in order to package the necessary quantities – 200,000 units – for the product launch. The planning department has also established flexible production schedules that will be adapted to the actual consumption of Dreamskin. It is thanks to this cutting-edge industrial expertise and a philosophy of constant improvement that Parfums Christian Dior can stand out on the luxury skincare market and offer customers products of the very finest quality.